You must be 18 years and over to join. Membership fee will start upon sign up. Our business is a freight forwarding business where we ship packages from Miami to Trinidad. Tropical Express will receive and sign for any packages that are delivered to our Miami, Florida office via: United States Postal Service, FedEx, UPS, DHL, or any other carrier service, In Person/Hand Delivery. Examples of such packages may include and are not limited to online, phone purchases, items ordered via catalog or business suppliers. We cannot ship what we don’t receive and are not liable for as such. To find out that we have truly received your package you must obtain a valid Proof of Delivery (P.O.D.) with the recipient’s valid signature. Shipping costs are calculated on Actual Weight of the package and are rounded up to the nearest pound. Packages MUST have the correct account numbers on them or else they may go into the unknown’s section in Miami. Upon agreeing to our terms and conditions you also give consent to a physical search of all your shipments. By agreeing upon these terms and conditions you also confirm that you authorize Tropical Express Couriers Ltd and subsequently their authorized broker, to handle and clear all goods/cargo/consignments on your behalf imported through Trinidad and Tobago. Please be reminded that there are Prohibited/ Restricted Items (as deemed by the FAA (US Federal Aviation Administration), US Customs, our Cargo Airline or by the government of Trinidad and Tobago) that you absolutely CANNOT ship. There are also items that require special shipping licenses. They will be put on hold in Miami and will not be sent until we receive further instructions from you. If in doubt, please contact us before ordering such items. Please note that any illegal substances that we encounter will be reported to the CBP (Customs and Border Patrol) and subsequently confiscated after testing. These items can be shipped after being registered with Homeland Security and inspected by the FAA (Federal Aviation Administration). They are considered hazardous or dangerous goods and require special handling, packaging and paperwork. There are special handling and processing fees for these items which we bare on your behalf and will be further billed to you. Please note we do NOT ship HAZMAT items via sea freight. Tropical Express will not accept and pay for Cash on Delivery (C.O.D.) shipments at our Miami, Florida office. According to Trinidad and Tobago Customs and Excise mandates (effective March 31st, 2012), all air and sea shipping cargo carrier companies must submit their detailed manifest listing for each shipment online to the new Terminal Operated System (TOS) prior to arrival in Trinidad. As a result, Tropical Express must provide our air freight cargo carrier with prompt and accurate information (description, declared value, weight, package dimensions) contained in an invoice for each package prior to it being shipped to Trinidad and Tobago. Thus, an invoice must accompany all packages received at our Tropical Express Miami, Florida office. Proper invoicing will allow packages to be cleared quickly through Trinidad and Tobago Customs, while improper paperwork could result in a delay to your package delivery and variance in costs. Items that are imported for personal use will be considered "non-trade" with a value no greater than USD$2,500. Any charges that are required to clear your "non-trade" packages will be paid up front by Tropical Express. Members will be billed for all clearance fees upon delivery of their package(s). Contact information of the company. Tropical Express will not be held responsible for packages that are not yet delivered to our Miami warehouse. We are not liable for opened or damaged packages, nor for the damage or loss of package items prior to arrival. Please ensure that all shipments are packaged properly as we will not accept liability for damage to goods due to improper packaging. We are also not responsible for packages that are not signed and that are left outside the premises. Please notify the retailer of our Miami office hours to ensure a secure delivery of your package. We are not responsible for Member errors, acts or omissions, such as an incorrect declaration of the value of goods or incorrect addresses/ shipping information. Tropical Express is not liable for damages, losses, or packages that are delayed due to circumstances beyond our control. These could include but are not limited to acts of nature, terrorism, government, or public authority. Tropical Express is not responsible for consequential loss. Such loss may include a loss of income or business opportunity due to packages that are lost, damaged, delayed, or undelivered. Tropical Express is not responsible for the amount of Duty, OPT and/or VAT charged by Trinidad and Tobago Customs and Excise on a shipped package. Members will be informed of any special approvals and/or licenses that are required to clear your package. Tropical Express Members will be responsible for obtaining the necessary approvals and licenses, such as a Food and Drug Stamp, or if package is over the "non-trade" value of USD$2,500.00. Customer is responsible to issue insurance on valuable goods from your retailer or supplier in order to compensate for any loss or damage that may incur. TV's are especially shipped at your own risk. Tropical Express is not responsible for actions taken by our agents/ affiliates. It is recommended that each individual have their own account. However, the one individual or company listed as the Primary account holder will be ultimately responsible for all shipments and charges. Valued Members, when you or your authorized person is coming to pick up please bring a valid ID. With regards, to our policy of only box owners and authorized persons (persons who were given authorization from the box owner) are allowed to pick-up packages for that particular box. If you wish for someone else to pick up on your behalf, when sending them to the branch especially for only one-time authorization of pickups, please provide the person with a letter authorizing them to do so on your behalf. The letter must also state the owner's ID or DP and the ID or DP of the person you sent. Again, the person you sent to pick up may be required to show their ID upon pick up as well. If you wish to generally add and authorize persons to pick up packages on your account, the authorization letter could instead be emailed to us at customersupport@shiptropical.com beforehand. 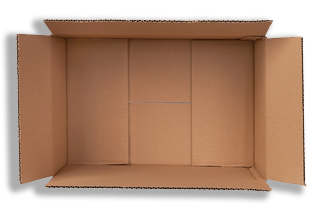 The reason for this new policy is to safeguard our box owners from any loss that may occur. Thanking you in advance for your understanding and cooperation. Customers who come in to pick up goods must pay for and pick up ALL packages in the system that’s ready for pick up thereby clearing their account and liabilities with the company. Tropical Express accepts all major Visa and MasterCard credit cards and Linx Debit bank cards at all of our Tropical Express branches in Trinidad; for these transactions a valid ID must be shown. We accept cash TTD$ (for Trinidad & Tobago dollars) and USD$ (for US Dollar) as well, but ONLY at our Trinidad Tropical Express offices. Tropical Express does not accept any cheques as a form of payment. Tropical Express will temporarily suspend your account if there are any outstanding charges on your account. Your account will be reinstated upon full payment of all outstanding charges. Tropical Express Members will be automatically billed the annual renewal rate when the Member’s account renewal is due and upon sign up. Tropical Express will store packages on your behalf, and at your request, for a period of up to two (2) weeks. Any package that remains unclaimed beyond two (2) weeks, will be charged a storage fee of TT$10.00 per pound per day on each package being stored at the branch. During peak season which is from November to December a storage fee of $20.00 per pound per day on each package being stored at the branch will be charged after five (5) days. After three months from receipt, any unclaimed packages will be discarded or be disposed of as we see fit. After you have signed up, if you haven’t used your box after 6 months your box will be cancelled. If have you have started using the box but you do not use your box within a period of two consecutive years your mailbox will be permanently cancelled. Also, if at any point in time there is a serious dispute we could put your mailbox on hold and subsequently cancel if necessary. Tropical Express reserves the right to terminate this agreement and cancel your box at any point in time.